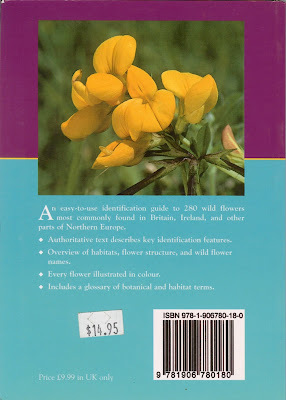 This post talks about some of the plants I saw on the first half of a Wainwright Coast to Coast walking tour sponsored by National Geographic. The walk started on July 24th and ended on August 3rd and included 14 of us and 2 guides. We walked about 140 miles in 12 days from St. Bees to Robin Hood’s Bay. The flowers mentioned here were all spotted trailside between July 24 (day 1) and July 30 (day 7), what I’m calling the first part of the walk (the western part). The day designation is used in the picture captions below to give a rough idea of where the plant was observed. This is just a sampling of what we saw and in some cases my identification of what we saw may be wrong. The motivation for documenting the flowers? I thought it would be fun to get to know the country in a botanical sense which is quite natural for me. Originally, I thought I would identify one plant a day, but it turns out I couldn’t stop at one. The tools? A camera, a guide book, and an iPad app. The camera: Canon Powershot SD1400. 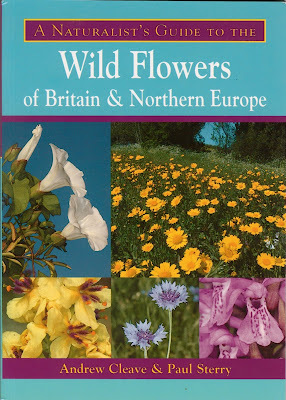 The book: A Naturalist’s Guide to the Wild Flowers of Britain & Northern Europe. The app: Interactive Flora of the British Isles. Part II of this post is here. We stay at the Seacote Hotel near the ocean and once settled, I wall back into the old town and saw this bindweed on a fence bordering a field. This photo is taken a few minutes before we start the coast to coast walk. It’s on the beach at St. Bees, looking south. On a rock ledge at St. Bees. Our first real day of hiking and it starts out as a beautiful day on the cliffs north of St. Bees. There is a lot botanically and insect-wise to look at such as this Small Tortoiseshell butterfly. This is seen along the cliffs just North of St. Bees. This thistle smells sweetly. I pop the blossom off and walk a while with it, sniffing it. This picture is taken just after we leave the cliffs north of St. Bees and head east. In some spots, we see large areas covered in rush, typically (over) grazed pasture. One of my favorite plants. It smells like pineapple when you bruise it. Spot this as we just start to walk along Ennerdale Water near the weir at the west end. As we walk east away from Ennerdale Water along the River Liza I spot this orchid near the Low Gillerthwaite Field Centre. A common plant this can easily be overlooked. Once you see it, you see it everywhere. Smells like sulfur when bruised. I see it in many locations, typically shady spots.This is photographed in Glenridding as we make our way to the Inn on the Lake. Epilobium is quite common. On the train ride from London to Penrith I remember seeing quite a bit of it along the tracks. The dreaded Gorse. In reality, we don’t encounter it too much. If you’re a land owner I suppose it is a pain, but for hikers, the stinging nettle is more likely to get you. Especially common on the sides of small country lanes. Don’t see Bridewort that much, only this one time. I was aware of this plant before Day 6, but Day 6 is the first time I feel its sting. This tree is quite common found by itself in open areas. I see this flower along a small stream as we made our way into Orton. The puff balls look so strange when you come across them in grassy areas. Quite common and at times can blot out other vegetation. This is photographed just outside of Ravenstonedale. Meadowsweet has a nice scent that reminds me a little of baby powder, a subtle scent. 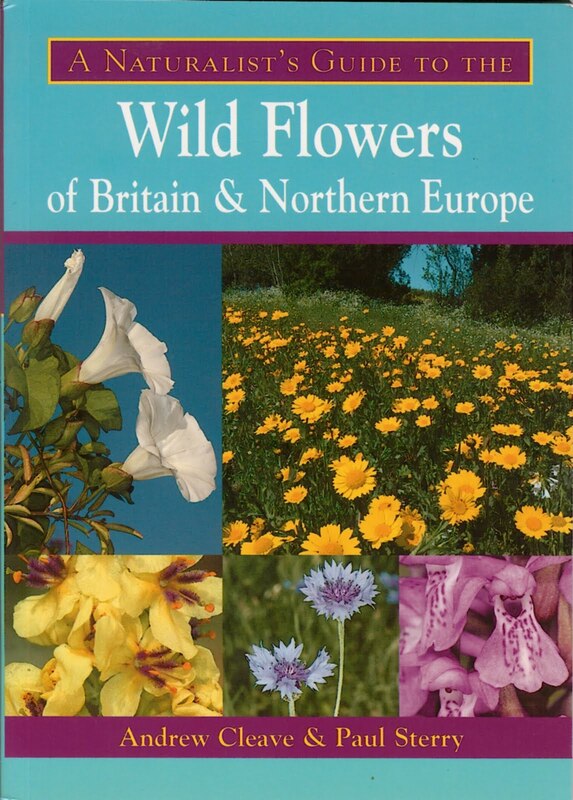 A Naturalist’s Guide to the Wild Flowers of Britain & Northern Europe. As we headed into Ravenstonedale on day 6 of the Coast to Coast walk we saw a number of signs about the red squirrel (Sciurus vulgaris). In a nutshell (! ), the population of these mohawked-eared cuties has decreased because of the introduction of the eastern grey squirrel (Sciurus carolinensis), an American cousin. The grey squirrel out-competes the red squirrel for a number of reasons including: 1) the grey squirrel can readily eat acorns and the red squirrel can’t and there are a lot of oak trees; 2) the grey squirrel carries a disease that is often fatal to red squirrels; and 3) the red squirrels don’t breed as much when under pressure. More information can be found at the Northern Red Squirrels Site that works to support the reds and the Save Our Squirrels site which has some great information sheets about the plight of the reds. From a book I read, The Diversity of Life, I remember reading that species that have evolved to specialized environments are in general more vulnerable to extinction than less specialized species. The reference to “black spot” in one of the photos, I believe, means a place in the road that is dangerous for squirrels, i.e. they get run over. As for grey squirrels, it is legal to kill them in the UK. While we are talking about Ravenstonedale and on to more pleasant subjects, I must say that I had a great stay at the Old Vicarage. Tea and cake at 5:30 when I arrived. Most of our group stayed at the Black Swan, also very nice, but, the vicarage was just right for me.